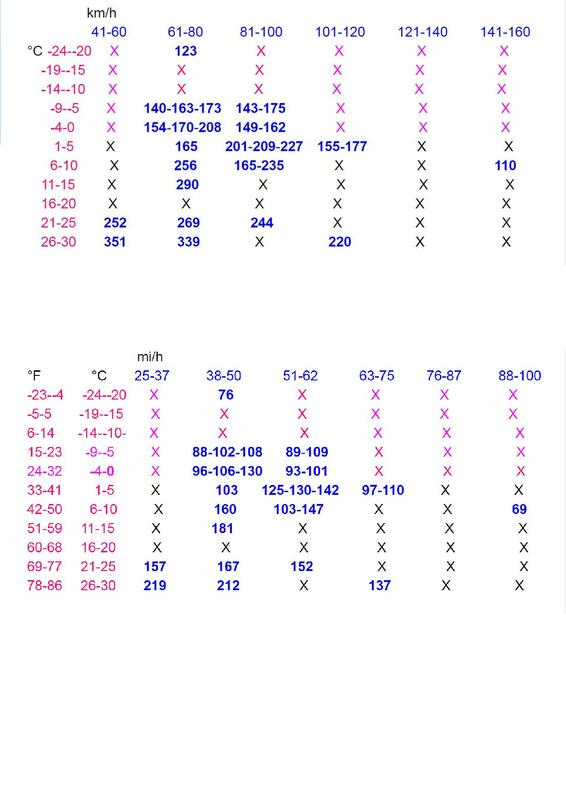 to add rows with his or her experiences with range or efficiency numbers with some additional info, for example on average speed and temperature. Note that real ranges are meant, not the car's expected ranges. Based on such data we can get a better idea of the car's real world efficiency and range. Have a good year, with more EV and less ICE km's or miles! Below a new update of the tables, now with some for temperatures as low as -10 and -22 °C, thanks to new reports from Norway, some for temperatures from 21 to 25 °C from South Korea, and some for temperatures from 1 to 5 °C from the UK.